Transportation in Tokyo is all about the Metro and JR trains. Purchase and load Suica cards at your first station to make getting around much easier. And bring your child's passport, since it's required to qualify for a reduce-priced Suica card. There's lots of walking involved during this day trip. Even if you take public transportation, the gardens and temples are large and the only way to see them is by walking. It's normal to walk 20,000 steps a day in Tokyo. This is a great trip any day, just note that weekends in Harajuku are far more crowded than weekdays. Spring, summer and fall are probably more enjoyable times to enjoy Tokyo than the colder, winter months. A hotel in Tokyo can be as expensive or inexpensive as you want it to be. Other than the hotel, the only expenses associated with this itinerary are public transportation, meals and games/toys. None of these attractions have an entrance fee. Visiting Tokyo with kids? This day is about getting a great feel for Tokyo - both the busy and the quiet side of the city - with plenty of kid things thrown in. Your little ones will enjoy the Meiji Jingu Shrine, Kawaii Monster Café, arcades, department stores and other animal cafés as you explore Harajuku and Ikebukuro. It's a jam-packed day, but there are sufficient stops throughout to rest and relax. Finish the day by experiencing the famous Shibuya area at night. 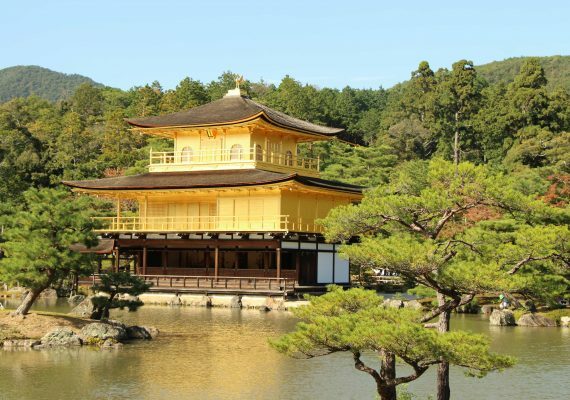 One great aspect of this itinerary is that there's not a lot of time spent commuting, since all these areas are within a couple of train stops from one of the best family hotels in Tokyo, the Park Hyatt Tokyo. Start your perfect day in Tokyo with kids by waking up at the perfect hotel. It's a splurge, but the Park Hyatt Tokyo is one of our favorite hotels in the world. The view is incredible, the service is perfect, the pool is amazing (from the film "Lost in Translation") and we love the breakfast. My kids can polish off two plates of the hotel's mango every morning! DIRECTIONS From either airport, take a hotel bus or a taxi to to the Park Hyatt. TIP The Park Hyatt is roughly a 15-minute walk to Shinjuku Station. It's a great neighborhood, but the round-trip commute adds 30 minutes to your day. Meiji Jingu Shrine is mostly about the shrine, but we enjoy the grounds just as much. 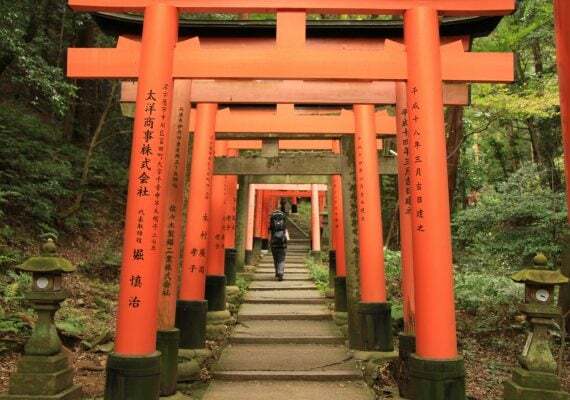 Enter near Harajuku Station, walk through the large torii gate, and then walk clockwise through the temple complex and grounds. 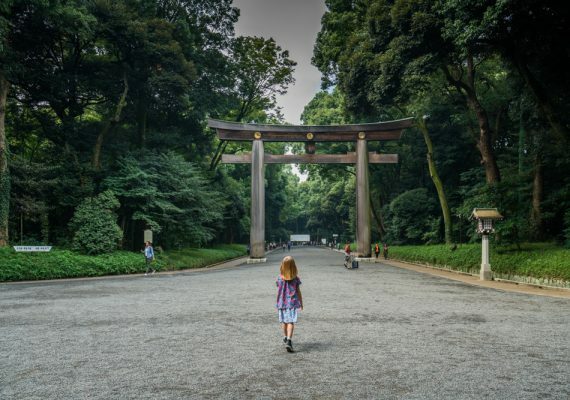 Meiji Jingu is one of our favorite places in Tokyo to escape the city and get back to nature. It's a great way to spend a relaxing hour in Tokyo. DIRECTIONS Take the JR train to Harajuku Station. Come out of the station and take a quick right to circle back around. Meiji Jingu Shrine is behind the station. TIP Ordinarily, we'd head there in the afternoon. But if you're trying to pack the best of Tokyo with kids into one day, it's a good morning activity. It's open from sunrise onward. It's also enjoyable to visit on the weekends, when you can see people in traditional dress. When you exit Meiji Shrine, you're in the Harajuku section of Tokyo - my kids' favorite area. From here, you can walk several blocks around Harajuku and get a feel for the neighborhood. Then stop at Kiddy Land, one of the best toy stores in the city. Next, get a kid-friendly lunch (we enjoy the crazy Kawaii Monster Café). Afterwards, circle back to Takeshita Street, a narrow lane of kitschy stores and street food. Conveniently, Takeshita Street ends at Harajuku Station, so it's easy to move on to your next destination from here. DIRECTIONS Take the JR train to Harajuku Station. TIP Avoid Sundays! There are so many people in Harajuku on the weekends, especially on Sunday afternoons. We've been to a lot of crazy places in Tokyo, but this is our favorite. Not only is it a fun, silly atmosphere, the food is also better than average - or at least better than a lot of restaurants dedicated to anime characters. It's practically made for Instagram. DIRECTIONS Exit Harajuku Station and head right. At the light/major street, turn left. Walk down the left side of the street. At the first major intersection, cross the street. You'll see Tokyu Plaza Omotesando immediately in front of you. Turn left. Less than a minute later, you'll see the sign for Kawaii Monster Café. TIP It's a lot less crowded on weekdays. 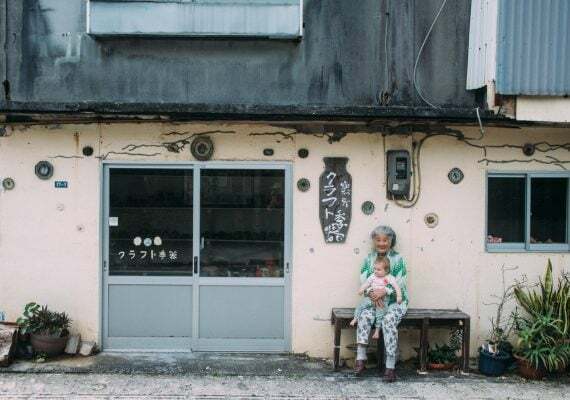 Wander around Ikebukuro during your family day in Tokyo. Our favorite thing to do is to spend time in the multi-story arcades, watching the intense gamers. There are a lot of arcades along Sunshine 60 Street, between Ikebukuro Station and Tokyo Hands Department Store. We always try to win stuffed animals in the claw machines, and the photo booths that change your appearance makes Ikebukuro a fun attraction for kids in Tokyo. DIRECTIONS Take the JR train or the Metro to Ikebukuro Station. Head straight out of the station, and bear left after a minute to get to Sunshine 60 Street. TIP We did a walking tour of the arcades and animal cafés with Context Travel. It was excellent. After wandering around Tokyo for hours, we like to come back to the Park Hyatt and hit the pool. We always visit the playground across the street as well, either before or after the pool. It's not the most amazing playground in the world, but it's a perfect place for kids to play for 15 minutes or so. DIRECTIONS This park is located directly across the street from Park Hyatt Tokyo. Shibuya's fun and famous for its crazy street crossings. Plus, it's easy to find. This area boasts the most famous five-way intersection, since it's directly in front of Shibuya Station. But beyond that, we enjoy wandering around Shibuya at night, visiting department stores and getting dinner. DIRECTIONS Take the JR train or the Metro to Shibuya Station. WE LOVEDThe view, the pool, the breakfast and the service. WE DIDN'T LIKEThe 10- to 15-minute walk to Shinjuku Station.